Vänersborg is the regional capital and political centre of power in Västra Götaland. This is where amongst others the members of the regional council have their meetings. Trade and industry are diverse. You’ll find high-tech engineering companies, and process and electronics industries. Recycling is a sector that’s on the rise, in which biogas is produced from household and agricultural waste. Wargön Innovation is running projects in the field of energy, the environment and innovation, for which forests are the main resource. The Norra Älvsborg’s regional hospital, NÄL, is a place where a great many people are employed and which is located exactly on the municipal border with Vänersborg. The municipality is also an important centre for mental care and correctional treatment. The tourist sector is growing, above all thanks to the international music events and the overall resources at the sports centre, which is also known as Sweden’s largest recreation centre. Vänersborg has a strong concentration of expertise in the field of care and nursing, public administration and the judicial system. Where classical music is concerned, there’s special expertise with respect to the development of young talent and network building. The development project for the small-scale production of biogas (Biogas Brålanda) has been ongoing for several years. Within the framework of Wargön Innovation, tests with materials development based on forestry resources and recycled textiles are being conducted. There are plans for a new large industrial estate in Vargön. Moreover, there are also plans for moving Vänerborg’s port there. Trestads Center is an industrial estate that is located strategically at the crossroads between the E45 and highway 44, with good access to the national railway network. The activities in the area are mostly concentrated on logistics. Apart from the large industrial estates, there’s a number of smaller existing estates, with above all small industrial and commercial businesses. Industrial plots are available in the direct vicinity of the E45 and the railways. There is a certain availability of rented premises from private real estate owners. The Företagsnätverket i Brålanda is a good example of how businesses can cooperate in Vänersborg. In that part of the municipality, all businesses have combined their efforts on matters for which they feel they should be handled jointly. They successfully do their own lobbying, amongst others. Within the world of classical music, Vänersborg has a network of contacts that basically spans the globe. Thanks to festivals, master classes and the competition Polstjärnepriset, the municipality is one of the global hubs for young people who play classical music. In Sweden, the Musikakademi Vänersborg (Music Academy Vänersborg) has close contacts with the Kungliga Musikhögskolan (Royal Music College), the Gothenburg Opera, Göteborgssymfonikerna (Gothenburg Symphonic Orchestra), the University College for Circus and Dance in Stockholm and the University College for Performing Arts and Music in Gothenburg. In Vänersborg, the focus lies on lakeside and central homes, close to Vänern, which is Europe’s cleanest lake of this size. Plans have been made for several new residential areas with rented and co-operative apartments and freehold homes. 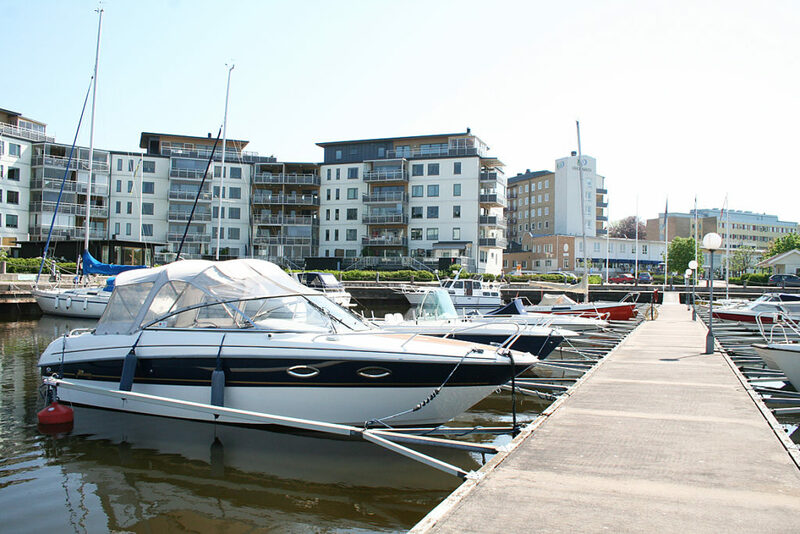 In the central parts of Vänersborg, lakeside living is combined with very good accessibility, the immediate vicinity to public transport, with the typical charm of a small town. For those who prefer living in smaller communities, there are several alternatives such as the towns of Brålanda, Frändefors, and Vargön. Vänersborg is located along the E45 and highway 44. Travelling by train to Gothenburg takes about 50 minutes. The airport is located right on the border of Vänersborg and Trollhättan. The sports centre with the Arena Vänersborg, has a central place in the city and facilities for a long list of sports. Within walking distance from the sports centre lies the indoor adventure pool Vattenpalatset. Along Lake Vänern, there are several places for swimming, both in the town as well as on the outskirts. There’s plenty of space for aquatic sports. The sailing club has its premises right in the middle of town. Aqua Blå is Vänersborg’s own folk song and water festival. Many podiums can be found throughout the town, where music performances can be enjoyed. Each year, on several occasions, hundreds of young, talented classical musicians from all over the world come here to participate in courses and festivals. Vänersborg was awarded the title of jazz city 2012.